By far, the most progress I’ve made in lifting has been from increasing my training frequency, not scaling it back. For the past 5 months, I’ve squatted, deadlifted, and overhead pressed twice a week. In those 5 months, I’ve added hundreds of pounds to my total from those lifts. You won’t get good at anything without practice, and weight lifting is no different. You have to practice to make progress so upping your training frequency is always one of the first recommendations I make. 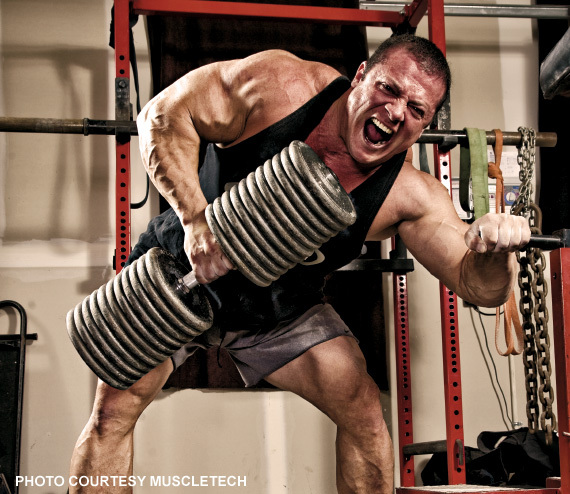 With that being said, there are things to consider if you are going to train the “big lifts” more than once a week. This should be a given but I’m surprised at how many people do not vary the intensities of their training sessions. You can’t go all out every training day. 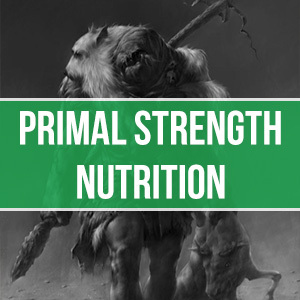 Training maximally day in and day out will definitely lead to some of the conditions I alluded to earlier, including hormonal imbalances and CNS fatigue, zapped energy levels, reduced strength, and increasing your chance of injury. Depending on my current goals, I won’t test my max more than once per month. The less experienced you are as a lifter, working with more than 95% of your one rep max on a monthly basis should be done less and less. And many times, you should not be training at 95% of your 1 rep max for multiple lifts during the same week. 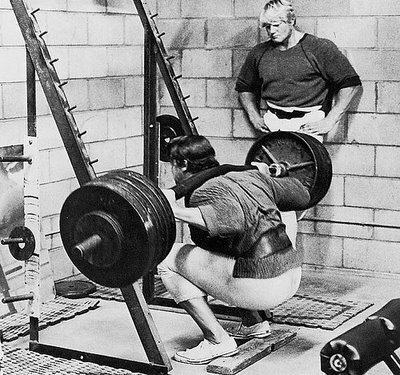 While it can be common, I can also guarantee from experience that performance will suffer at the expense of another lift. 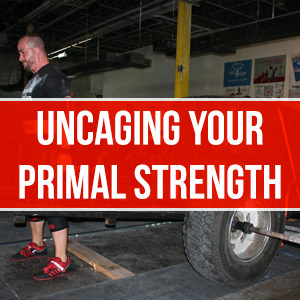 It’s far more beneficial to stagger your maximal lifts. 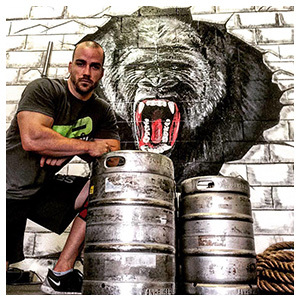 So if you aren’t training maximally, what should you be doing? If you read my article on deloading, you will know that I am not a believer in the traditional deload. Instead I give you a few other ways to “deload” that are much more effective. In the case of upping your training frequency, my recommendations are that much more important. 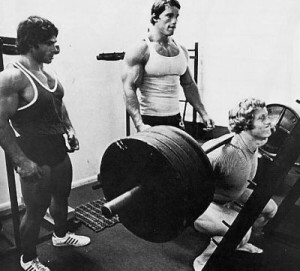 After a training session where, for example, I squat at 95% or more of my 1 rep max, the following session in the same week will not eclipse much more than 80% of that total. Push the envelope one day and back off the next. The days where I’m training with less intensity, I tend to train with more volume and try to progress by doing more reps with more weight. For starters, assistance work following your big lifts should be done for higher reps and less weight. The idea behind assistance is to hypertrophy, improve weaknesses, and develop muscles to assist you in the big lifts. If you’re hitting some of the big lifts twice a week, crushing your assistance work to the point where it jeopardizes your recovery from session to session is the last thing you want to do. Choose your assistance exercises carefully and monitor your reps and intensities. After 95% + deadlifting, I may only hit up heavy farmers carries and that’s my entire training session. A day after 95% + squats, I may do some sled work and glute ham raises. If it’s a back off day and I’m only training at 80% intensity, maybe I’ll pair bench with incline, lat pulldowns, and Kroc rows. I can handle the extra assistance because my main lift was scaled back. It’s all about balancing the work load over the course of weeks and months, not just days. More work one day and less work on others will lead to far more sustainable and continual growth. I’m at the point now with my lifting that some days upon waking I know it’s going to be an exceptional or typical training day. At the very least, by my third warm up set I know whether it’s time to Hulk smash the hell out of my training that day, or whether it’s a “deload” day. You have to get in touch with your body. It’s the ultimate feedback mechanism and will tell you everything you need to know about your training, far better than I or any other coach or fitness personality will be able to tell you. All of the questions about what you should be doing are inside of you. You just need to tap into it and use it to your advantage.